At the end of 1777 the hair was dressed in the fashion called The Insurgents. "It was," says the author of the "Memoires Secret," an allegory, made up of the disturbances between England and America. The first was a snake, so perfectly imitated that in a committee meeting held at the house of Mme. 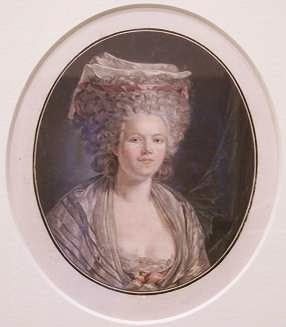 la Marquise de Narbonne, Lady of the Bedchamber to Mme. Adelaide, it was decided not to adopt this ornament, as it was likely to upset people's nerves. The maker then decided to sell it to foreigners only, who were anxious to obtain our novelties; it had been proposed to advertise it in the papers, but the Government, prudent and circumspect, forbade it. Crowds went to see it out of curiosity."